Born in Moscow, Russia I emigrated to the United States a quarter of a century ago. Even though I have retained my Russian accent, my command of English is pretty native. Now in my early 60s, I feel very comfortable in my skin, and I love to help other people to feel comfortable in theirs. I love what I do, and I do what I love - finally! I am a lucky woman to have manifested my life partner/husband Nicholas, who is a very talented ceramic artist and who possesses so many qualities I admire. We travel, cultivate our organic garden and play together with our two fascinating grandchildren. 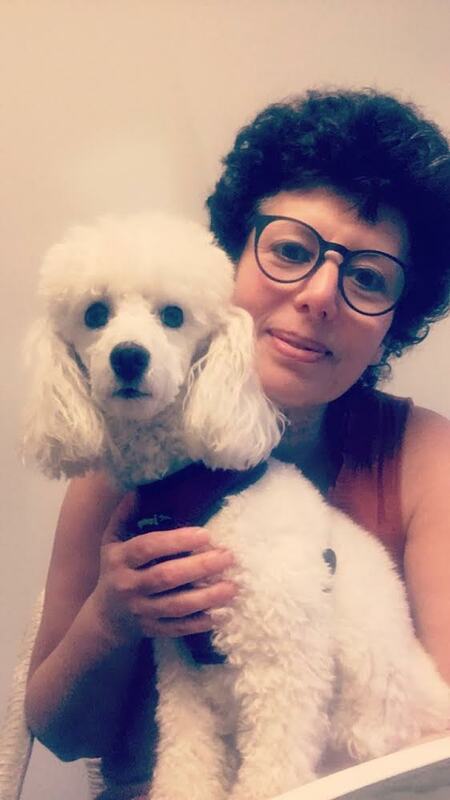 I love animals, and currently serve my 5-year-old mini poodle Dr. Dexter with endless love and really good food! My favorite activity is learning about the human body, mind and spirit, and I constantly study these subjects via reading and workshops I take all over the world. I am a scientist and scholar of metaphysics at heart. My book library is extensive and I easily share books/CDs/DVDs with my curious clients and friends. My first degree is in Mechanical Engineering with an MS in Science. My second largest life experience was 10 years as a Film Editor at the Allstate Cinematography Institute in Moscow. Friday nights you can always find me at the local art theater. Cinematography is still my favorite art and entertainment. Being in my own healing practice for the past 16 years surpasses all my previous careers. I feel privileged to know my talents and apply them accordingly – to be of healing and relaxing service to you – my fellow human.